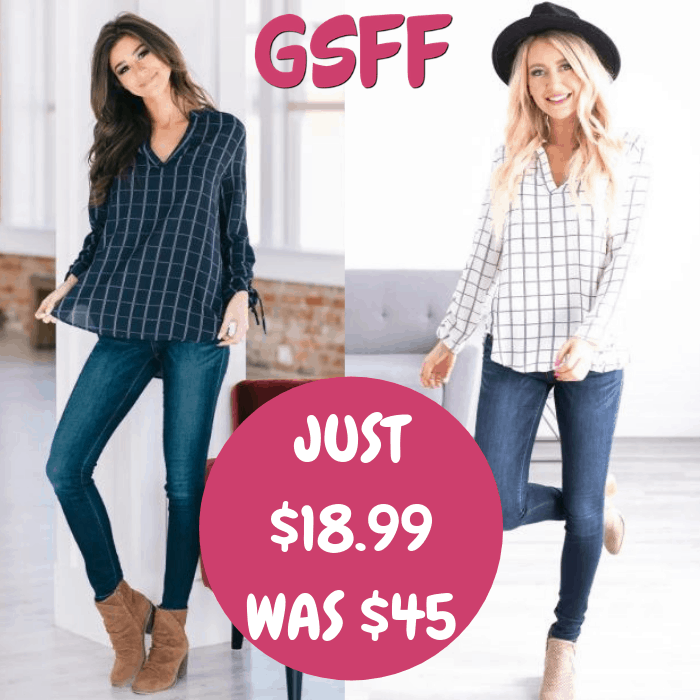 Callie Grid Tunic Just $18.99! Down From $45! Shipped! You are here: Home / Great Deals / Callie Grid Tunic Just $18.99! Down From $45! Shipped! Until January 9 only! Jane has this Callie Grid Tunic on sale for just $18.99 down from $44.99 PLUS FREE shipping! This Callie Grid Tunic is a must-have this season! It features a trendy grid pattern, v-neck, and cinched tied sleeves! This tunic is cut beautifully to drape over all body types, the semi-loose cut paired with the longer length makes it so easy and fun to style! Rock it in the office with a pencil skirt and heels or dress it down with your favorite pair of destructed skinnies, either way, you’re sure to love the way you look and feel!